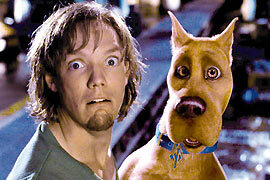 Aw no, did you have to include a Scooby-Doo picture…. argh. I actually appreciate Silverstone a great deal in this film – I love all the female characters, but few of the male ones. I chiefly hate Don Armado and Moth – I think they ought to be fairly attractive characters (and Moth should be a CHILD!! ), but here I find them repulsive. 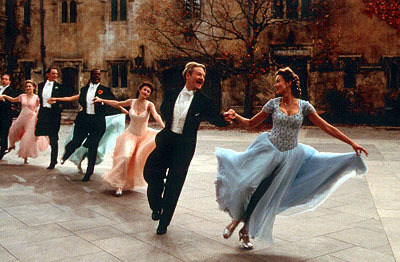 Although the movie is certainly watchable, and a version of the play that is very easy to digest, I think this rates as Branagh’s low-point when it comes to his Shakespeare movies. Don Armado is so weird in this, but I didn’t hate him…. kind of fascinated by such a weird take on him, really. I found him somehow more watchable than the weirdness of Michael Keaton’s Dogberry in MAAN. Silverstone was sometimes painful for me (and I tend to like her usually). Thanks! I hope I can get a copy of it soon.